Graduation is an exciting time. It is both an ending and a beginning. It is warm memories of the past and big dreams for the future. 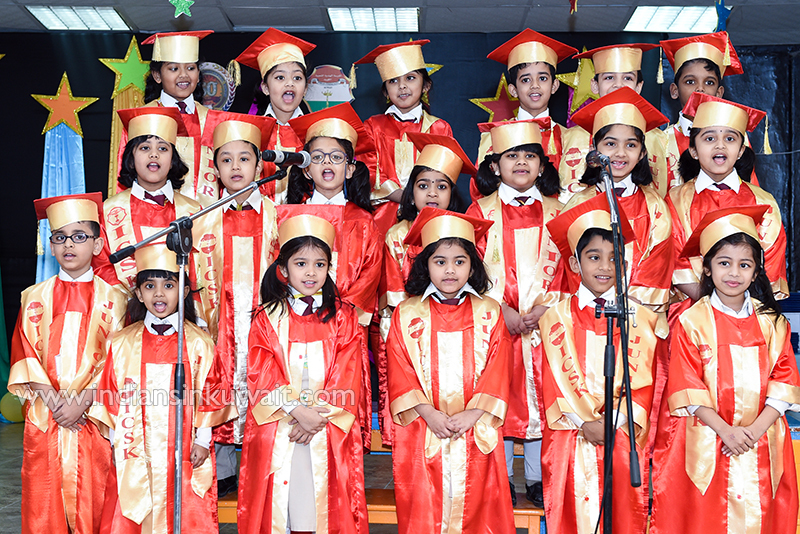 ICSK Junior celebrated the nursery graduation day on Wednesday, 13th March 2019 in the school premises. It was attended by 302 proud and bubbly students along with their parents and well-wishers. The occasion was graced by the presence of our esteemed Chief Guest, Dr.P. Shankar Narayanan Menon. The programme commenced with the recitation of the verses from the Holy Quran followed by the Kuwait and Indian National anthems. After lighting the auspicious lamp of knowledge,Principal, Mrs. Sherly Dennis welcomed the gathering stressing on the importance of parenting. She appreciated the hard work and dedication of the entire kindergarten team towards making the event a remarkable one. The tiny tots entertained the audience with their song and dance. Our chief guest spoke about the role of teachers in helping children bloom and grow. Vice Principal- Sheeja Maam delivered the vote of thanks. She thanked the entire team (teaching and non-teaching) staff for their team work, dedication and commitment.